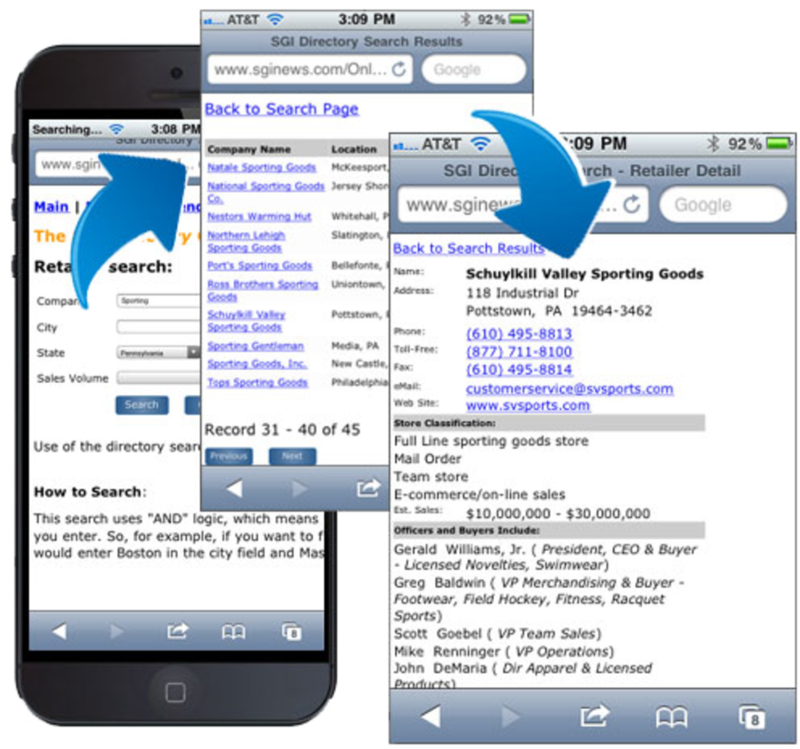 We are offering the #1 Resource for the Sporting Goods Industry that will provide you with Buyers and Vendors alike! Brand new for this year - Updated quarterly. 10,600+ U.S. retail stores and chains, arranged by state. Buying centers for more than $38 billion worth of sporting goods each year for over 100,000 storefronts. Includes major chains and full-line sporting goods stores, as well as discounters, e-commerce and catalog retailers and specialty retailers nationwide. 7,000+ manufacturers, suppliers, distributors and sales agents. 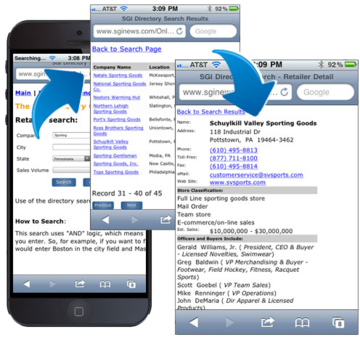 Multiple contact names, including presidents, sales, marketing, production and purchasing managers, and many more. Plus a trade show calendar, sports publications and sports organizations, all with detailed contact information. Available in 2 different formats: OnLine Read Only Database with 1 year access, or Database emailed or sent as USB card.The full databases can be manipulated.